Stay in touch with Coolsmiles! Keep us updated. Have you recently moved, changed your phone number, or any of your contact information that we use to best serve you and your family? If so, please be sure to inform us of your recent changes. Simply give us a call at 631-289-0909 or email us, at info@coolsmiles.com. Connect with us on social media. Did you know that Coolsmiles has a vigorous social media presence? Have you had a chance to connect with us on Facebook, Twitter, or YouTube? We’re always looking to stay connected with our patients outside of the office and in between visits. Connecting with our social media networks is also an efficient way to see our photos, updates, contests, and important office information. 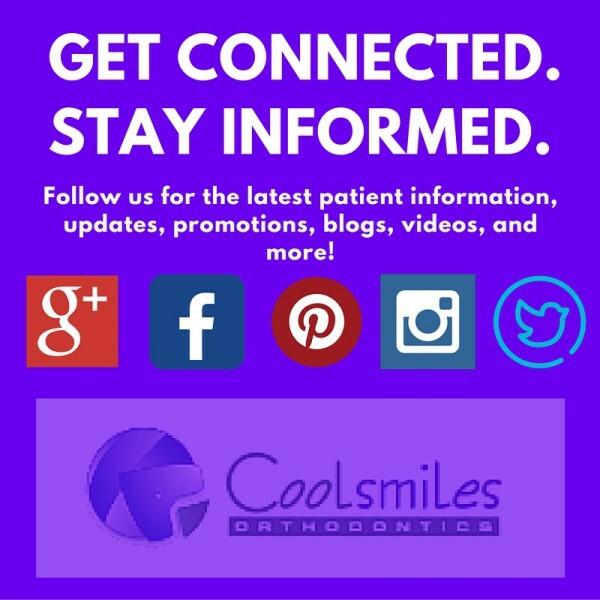 Visit us at www.coolsmiles.com to connect with our social media platforms and keep us informed of what’s been happening since your last visit to our office. We can’t wait to hear from you!